A smart suitcase. Yes, a smart suitcase. No, I didn’t know there was such a thing either, but apparently it is a “thing”. To be honest though, after a bit of reading, I became quite interested. A carry-on suitcase that is water resistant, scratch resistant and has GPS and 3G technology built in? Remote and automatic locking? Sounds interesting. There’s a 10,400mAh battery inside too, and you can just plug your stuff in via the USB plug by the handle. It comes with an integrated laptop compartment and a scale too. Yeah, sign me up baby! I’ll take one! Wait.. it costs $599, equivalent to £449. Oooo… That’s a lot of cash. 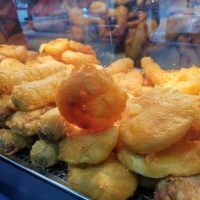 If you’ve got the cash, head to www.bluesmart.com. It’ll do some pretty cool stuff like auto-locking when you walk away from it (via Bluetooth) and it’ll let you know (via the integrated scale I mentioned) whether the case itself is light enough to be carried onto the plane. Oh, and it’ll let you know all that via a smartphone app. 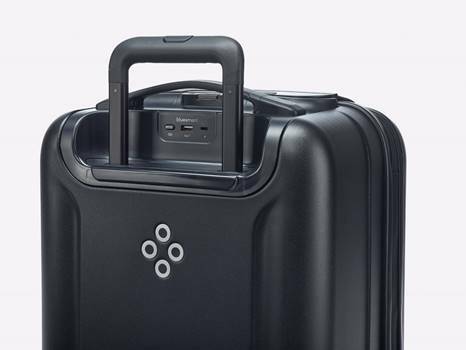 All very geeky cool, but £449… ooff..
London, U.K. September 19, 2016 – Today, Bluesmart, the award-winning smart travel company announced the international availability of the Bluesmart Black Edition, the newest product for the smart and stylish traveller. Bluesmart Black Edition is available for UK customers to purchase online at www.bluesmart.com. The Black Edition pairs the award-winning technology from Bluesmart’s incredibly successful inaugural product, the Bluesmart One, which touts GPS+3G tracking capabilities, with a sleek design aimed for the jet-setter that appreciates style and ease when traveling. · Location tracking – Global location tracking powered by GPS and 3G SIM card based communication system in partnership with Telefonica. · Charging on-the-go – Built-in USB charger with 10,400 mAh capacity, enough to charge a smartphone up to six times. The battery is compliant with FAA/TSA/DOT regulations. · Automatic and remote locking – TSA-approved, Bluetooth-enabled remote locking via the app, with automatic distance locking. · Integrated scale – Built-in weight sensors inform via app whether suitcase is within airline limits. · Convenience – Additional pockets and tailored laptop/tablet compartment to maximize internal storage that can fit any 15″ device and easy removal when going through airport security. · Ease – Silent wheels and a reinforced bumper for smooth and quiet movements. 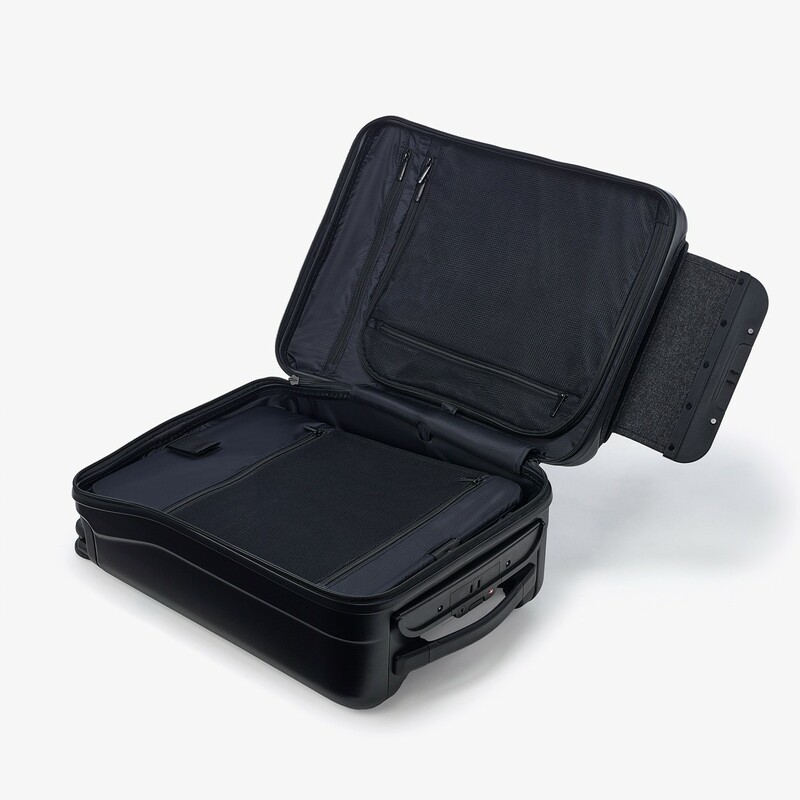 · Space – Airlines regulation compliant carry-on size suitcase at 22”x14”x9” dimensions. Perfect for 2-3 day business trips. · New Operating System – BlueOS 2.0 introduces performance improvements on all software features. As Bluesmart shifts its focus to bring its design in-line with its category leading technology, the company has bought on Charlie Clifford, former CEO and Founder of TUMI Inc. as an advisor. Clifford founded TUMI in 1975 and introduced a series of award-winning and iconic travel luggage products, creating one of the most admired brands in the travel industry. Clifford will focus on supporting the Bluesmart team to further develop its product roadmap and go-to-market plans as the company scales for global growth, defines new markets, and launches new products and services. Bluesmart Black Edition is available for UK customers to purchase for $599, equivalent to £449, from www.bluesmart.com now.